Gotham, take control... take control of your city. Behold, the instrument of your liberation! Identify yourself to the world! Hope. 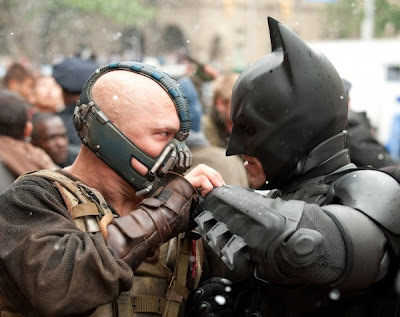 In The Dark Knight Rises the concept is well ingrained. As Gotham City marks Harvey Dent Day, his legacy, the illusion of hope for a better tomorrow is about to come crashing down. As hope struggles to find shelter in the chaos, you realise the aspiration defines director Christopher Nolan's Batman. Could the Bat franchise be saved after Batman and Robin? His hope lead to Batman Begins. A better Joker than Jack Nicholson? His hope lead to The Dark Knight. A sequel that equalled that instalment's phenomenal success? His hope lead to The Dark Knight Rises - and rise it does. This film is beyond any mere rating. Even at two and three quarter hours, it is a trilogy ending like no other. Epic in scale and heart, a stellar cast, plot twists and secrets so BIG, you'll wonder how they never got leaked in this modern internet age, all make for an independent movie few could even compete with. Bane (Tom Hardy) has come to Gotham to finish what others have started, raising the city to it's knees. As Bruce Wayne (Christian Bale) pulls 'Batman' out of 'death', he realises in the most painful of ways, that the spirit that fuelled the character has gone. In his defeat at the hands of a man both determined and fearless, is a devastated metropolis. One whose hopes land on the shoulders of the few and in Bruce Wayne's ability to learn the lessons of child that lept where no man before them could. Yip that's a pretty spoiler-free description. One word of advice however; assume nothing. Like the dubious Selina Kyle (Anne Hathaway), keep your eyes peeled. The twists are everywhere. Speaking of Hathaway, this is her best role yet. You never know which way this Selina Kyle will face when dropped, or who she'll land on her feet for, the people or her own motives. An anti-hero, both deadly and noble, it is Catwoman you will most want to buy comics of after the credits have rolled, and hopefully DC is taking notes of this portrayal too. 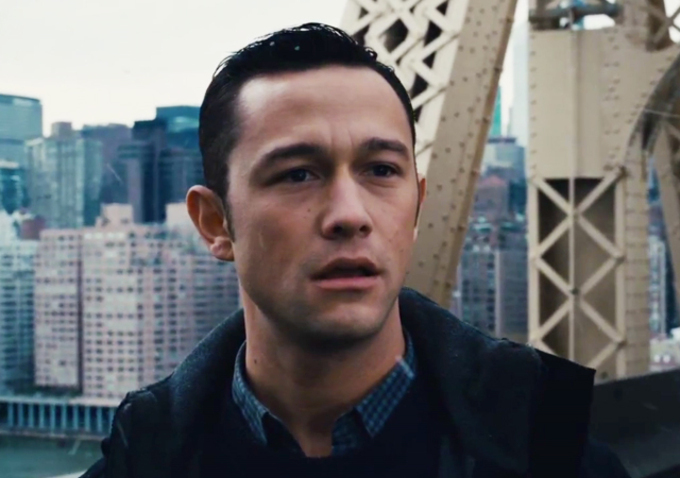 Joseph Gordon-Levitt is the other standout for me. In his role as police beat cop John Blake, his journey to be an everyday hero for decent people in the wake of both Commissioner Gordon and Batman's actions is incredible. It ironically reminds me of the one character that got me into comics and had me longing for the return of Gotham Central. At least to a point. Alfred (Michael Caine), Lucius (Morgan Freeman) and Commissioner Gordon (Gary Oldman) are all back. Their continued strong performances for what is almost a combination of Bat-story-arcs Knightfall and No Man's Land, help thread the trilogy together as it races towards it's epic conclusions. Note the plural. It's just not a conclusion at work here. Threads have been sown in right from lines in Batman Begins you probably paid no attention to, until you hear them referenced again here. Sure Bane's voice is brilliantly audible 99% of the time and frustrating for one, but the accent of the back-breaking terrorist adds so much menace to his stance, actions and character, it becomes like poking holes in Picasso. Plus, the expressions Tom can portray just with one half of his face, will stun you. Believe me I want to say more, I want to spill more - oh boy do I want to say more, but I won't. 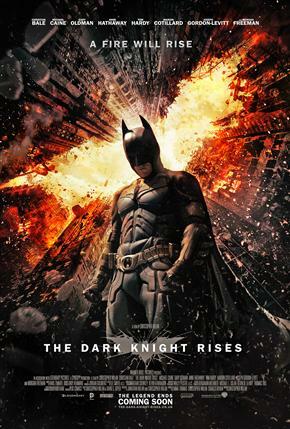 Dark Knight Rises is the trilogy-ender I was hoping it would be - proving having three successful movie instalments is not impossible - and not even The Avengers can stand against that. Great review Dan. I think we're hitting it this weekend. thanks for the positive feedback Craig! Glad you liked the review. Will be keen to hear your thoughts after you've seen it! hey Craig, looks like Batman isn't the only one to come out of retirement. i'm gonna see if i can catch an early bird special tomorrow. Wow man, on your word my hopes are up. I'm not to worried though. Because the first two were instant classic. Thanks guys! I've been listening to non comic fans all day talk about the film and it's good to hear they liked it too. Levitt and Oldman take the cake in their discussions so let me know what you think when you see it. OA you're right, the others are classics. the trailers dont tell you half of whats going on here which is a great thing in itself! I'll wait until next week to see it, and hopefully avoid any further nut-jobs from shooting up theaters, but yeah I'm beyond psyched to see this one. Big surprises you say? Can't wait. Dave, I've been slacking for a few months. I was hoping that summer meant no running kids from point A to B, C, and D every day. It's been worse than the school year. The Derosby boys are even shutting down the blog because they've both got kids now too. I hope to start posting stuff to my DeviantArt page one of these days and definitely get back to checking out my favorite blogs. nuff said Craig. the kids thing pretty much is an all consuming factor. as for the movie, Batman was quite a wild ride! Off hand I liked it for the most but my brain is still processing it all. The movie casts a huge net as far as all the issues it addresses and has a very complex story line. Even more so then I anticipated. It actually feels like it’s on the verge of being overwhelming at times but I think what I liked about it the most was the way things started to fall into place toward the end. My advice, pay close attention to the movie it will help you follow the story better and don’t leave your seat until it’s over. By the way, I found out about that shooting in Colorado just before I went to see it today. i'm hearing more details about it now. unfucken real! Glad to have you back Craig. The place just ain't the same without you and Starscream, but life definitely can leave sparse "free time" at times huh? Look forward to seeing your Deviant Art! Yup Dale, big surprises indeed. Good on you for not letting the actions of one deter you either. The least impact that individual has on society, the less his success in his methods becomes. Thanks for your thoughts Dave - you are right, it sure is a lot to take in, and as all the pieces converge it is pretty wild. I might even need another go at it myself, just to make sure I took it all in the first time! I'd read a review that gave the movie 4 out of 5 stars, with the author's biggest complaint being the gaping plot holes. My thought reading that was that it didn't sound like Nolan to present an unfinished plot, and that the author may have failed to take a more aggressive stance to enjoying this movie (I.E. pay ATTENTION!). I can't wait to see it. Looks like we're waiting until the weekend.